Now of course, my family has a history with Liberty Tree. 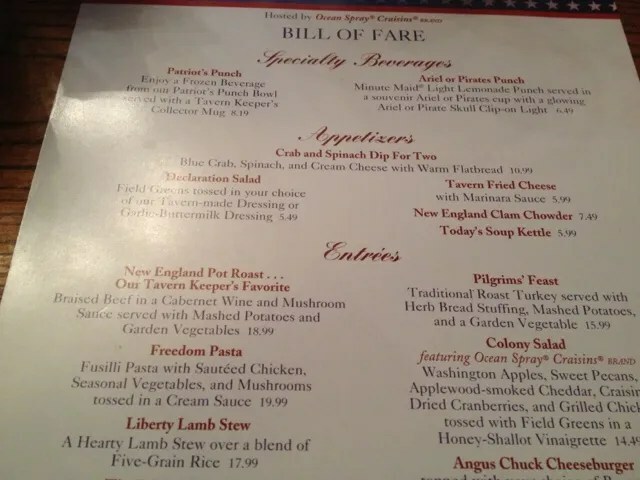 Yes, we go way back…almost to Colonial times when it first opened. 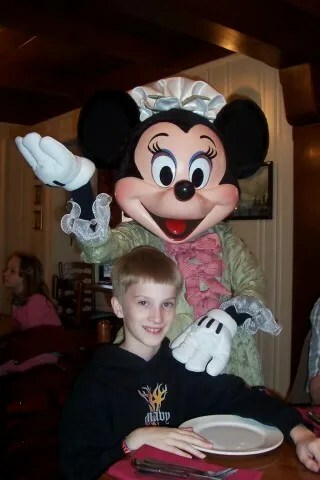 When the kids were young, we enjoyed the character dinner here several times. Here is a picture from what I think was our last visit to LTT’s Character Dinner with Goofy, Pluto, Chip and Dale, and Minnie, all dressed in their colonial attire. Hear ye, hear ye, now seating the jabead family of Illinois! 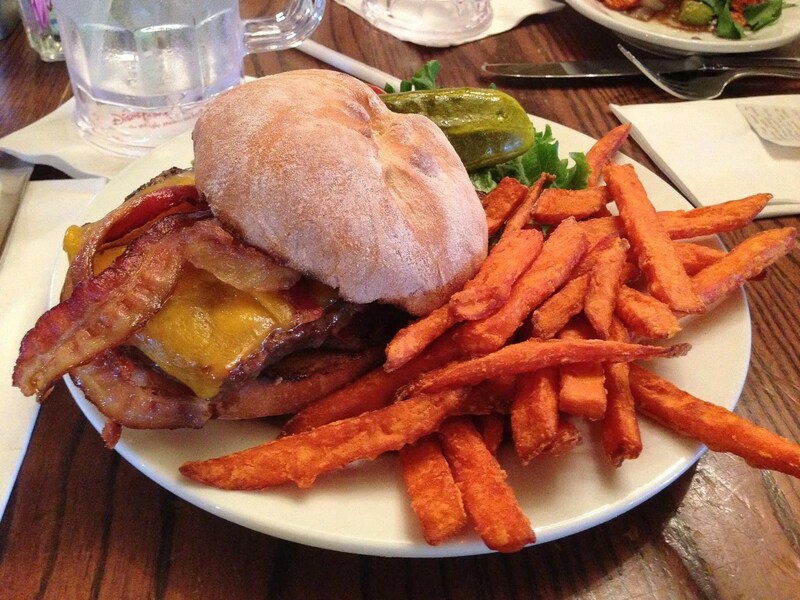 He said this was a standard burger and the sweet potato fries were good, but not as good as the ones at Whispering Canyon. 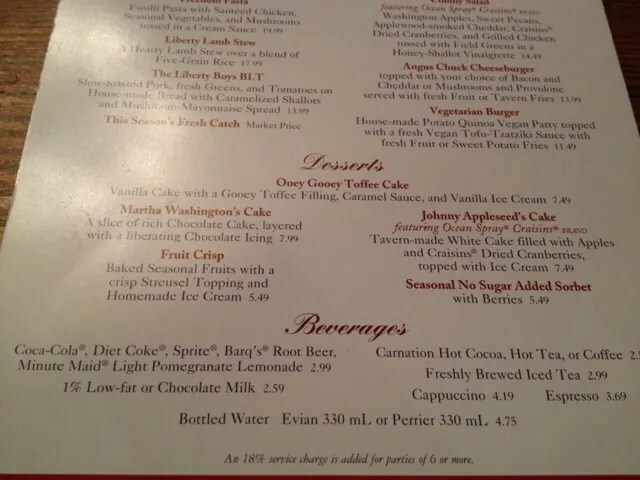 Holy Moley…Colony Salad, where have you been all my (Disney World) life? This salad was a delicious combination of sweet and savory. 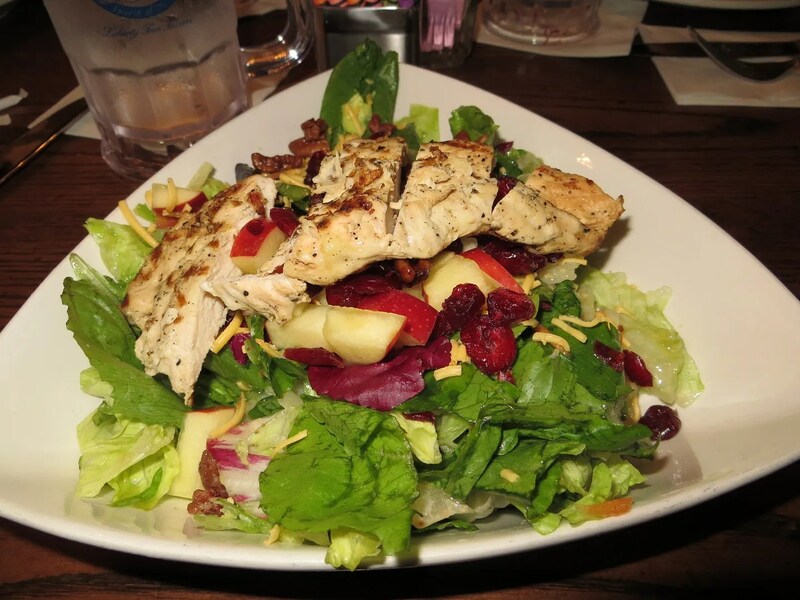 I wouldn’t change a thing about it…it is salad perfection! 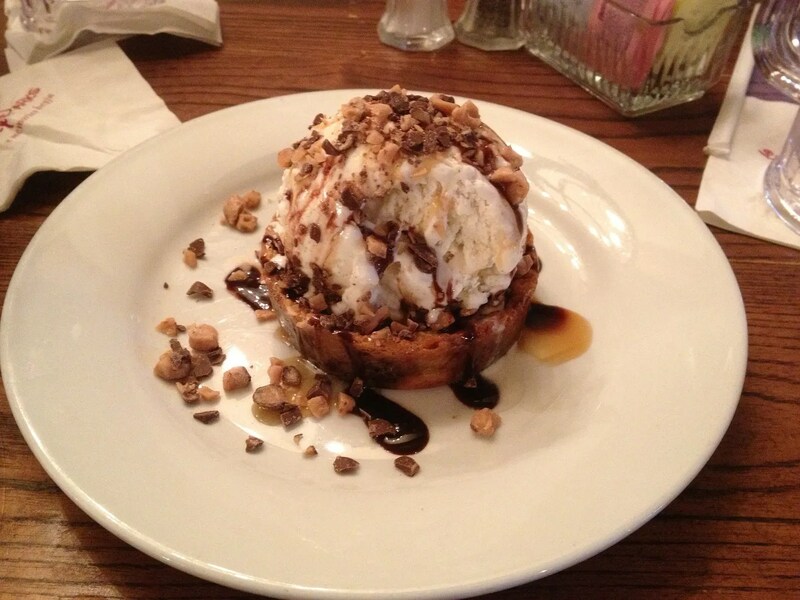 My family took one look at this dessert and all of their previous objections were long forgotten. The battle of our four spoons was on and we quickly devoured every last morsel. Ahhh…now we finally get it!!! 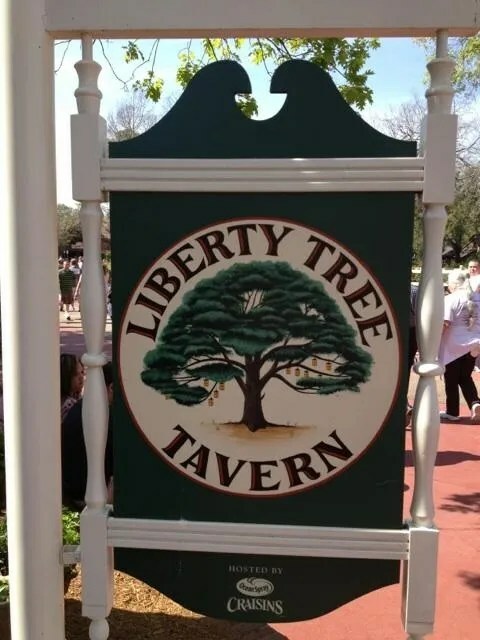 So in conclusion, Liberty Tree Tavern has now earned a place on my Disney “Must Do” list. 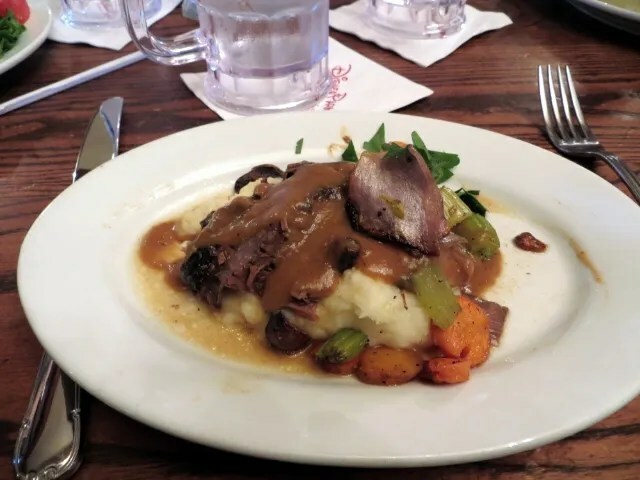 I have a feeling that I will be dreaming about that Colony Salad and Ooey Gooey Toffee Cake tonight.